Memphis Best Guide is a Memphis-based business directory that publishes local businesses and user contributed reviews as well as recipes, Q&A’s, events, and more. The website was designed so that locals as well as tourists can discover new local businesses and the best local businesses in the Mid-South ranging from restaurants, retail stores, salons, nightlife, entertainment along with a wide range of other categories. Businesses can submit listings and add their business information, photos, special offers and more. 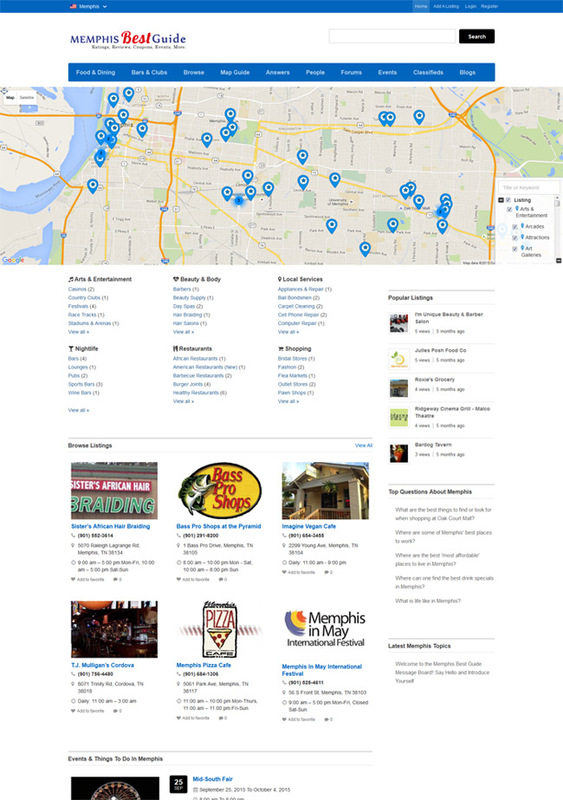 For Memphis Best Guide, we used a clean and responsive website design with a focus on geo-tracking and street views which allows the user to find businesses closest to them.